A lot of businesses have an old and unused truck sitting around in their garage. Even though you might have considered getting it repaired, you probably aren’t sure if it’s actually worth the hassle and cost. This is because if it’s not actually going to be of any use to your business operations, then the best option might be to sell it for some quick cash to a wrecking company like Cash My Car. 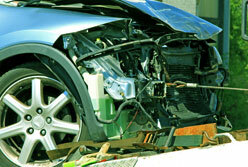 While this might sound to be too good to be true, it’s actually easy to find professional truck dismantlers like Cash My Car operating in the market. Our main business is taking your scrap vehicles and trucks from you in return for cold hard cash. It’s so easy you can do it from the comfort of your own home or office and no longer have to waste time shopping around or listing your unwanted truck for sale. Thanks to our services being available to you, you don’t need to go anywhere else. All you have to do is fill out our instant quote form, arrange a time for collection, and we come to you with your cash. The first thing we do is conduct a thorough inspection of your truck. Starting from the make and model, to the year it was registered and condition. Once we have inspected it, we can then quote you a top cash price and take the truck away for you for free. With the high cost of living and ongoing expenses, it’s always helpful to find some quick and easy ways to earn some extra cash on the side. This is especially true with business owners and managers. With high overheads, budgets often tight and continued increases in costs, having some additional cash flow coming into the business is always welcome. With Cash My Car this is something you can do quickly and easily without spending any time or energy from your end. The best part is that you get to kill two birds with one stone – you are able to get rid of your unused truck as well as get money for doing so. Cash My Car are the largest dealers of used trucks and truck parts in Auckland. 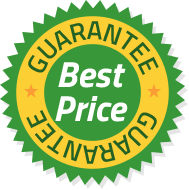 We guarantee to provide you with the best possible cash price for your used, damaged or unwanted truck. We pay cash on the spot, there are no charges incurred by you and we even tow the truck away for free! 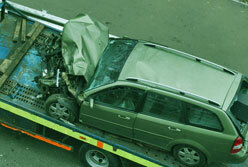 We have multiple tow trucks running in the Auckland region and provide a free truck removal service. We can pick up your truck on the same day you get in touch. We don’t just buy certain types of unwanted trucks. Because of our large retail buyer network, we pay top cash for cars and trucks of all makes and models. Truck damaged and not insured, or would repairs cost more than the truck is worth? 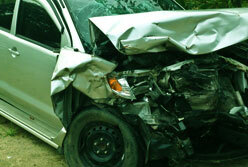 We will pay the best truck wreckers Auckland price for your wrecked truck, it couldn’t be easier! If your truck has been written off or doesn’t run anymore or is in pieces don’t throw it away. You might be surprised at how much it’s actually worth!